Art nouveau splendor is at its finest with this vintage inspired Van Kempen piece. 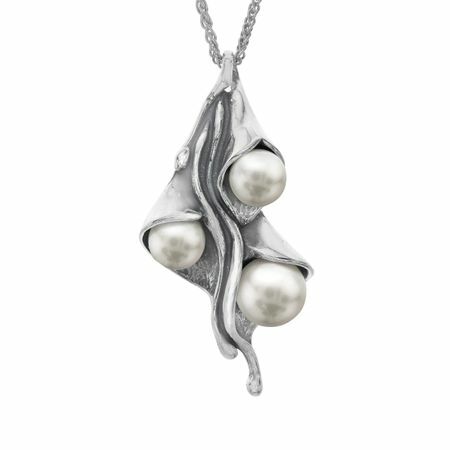 Sterling silver pendant features a cascading bouquet of calla lilies with luminous, simulated shell pearl buds. Piece measures 1 7/8 by 15/16 inches. Comes with a sterling silver 18-inch wheat chain.